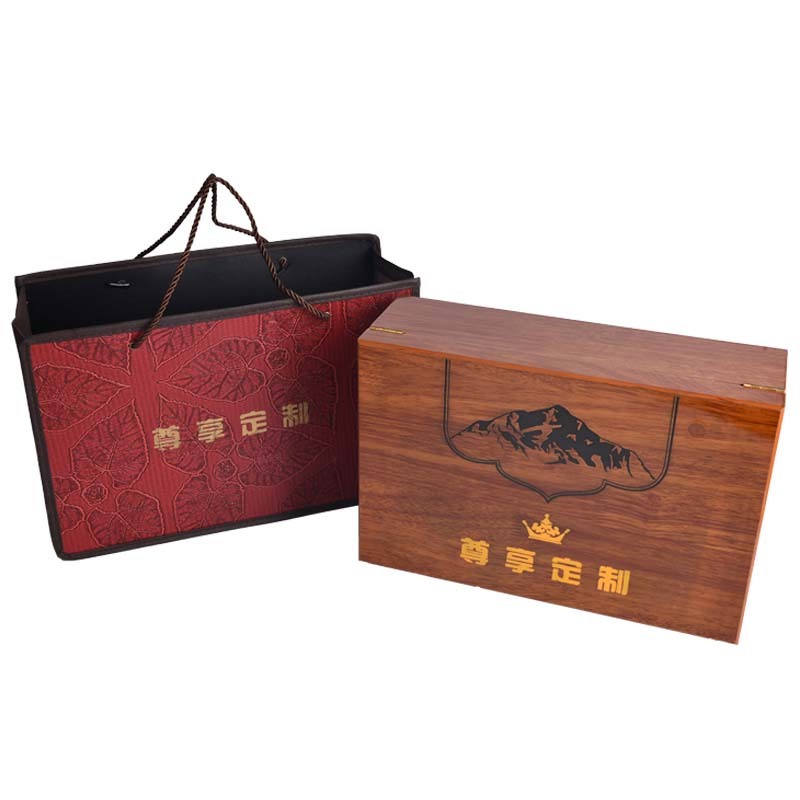 Product categories of Wooden Gift Box, we are specialized manufacturers from China, Wooden Gift Box, Wooden Gift Round Box suppliers/factory, wholesale high-quality products of Wooden Pen Gift Box R & D and manufacturing, we have the perfect after-sales service and technical support. Look forward to your cooperation! A lot of materials: mahogany, rosewood, rosewood, oak, cherry, walnut, oak, pine, paulownia wood, poplar, etc. are the first material to do wooden box. The surface treatment includes chemical paints, lacquers, and water-based paints. The environmentally-friendly wooden packaging box is carefully polished and polished. It is more pure and natural! Wooden box is often used in the packaging of all kinds of high-end consumer goods due to its quaint heavy texture, such as: food gift boxes, wine gift boxes, health products, and valuable goods. Wooden box packaging tends to be fine workmanship, sophisticated materials, has a beautiful appearance and shape, so wooden box packaging itself is often very strong ornamental and commercial nature. In order to protect internal products from collisions, velvet, EPE, paper, sponge, and foam-like linings are often attached to the packaging wooden box to fix the contents. Due to the selection of materials, workmanship and accessories, the price of wooden box packaging is higher than other packaging forms. Because the price of logs is expensive, in order to save costs, wooden box makers rarely use logs to make wooden boxes, instead using plywood and medium density fiberboard. At the same time saving costs, it is no less than the quality of the log products.